C+ and finite groups actions on affine spaces. Locally nilpotent derivations. Theory of G_a-actions on affine varieties, locally nilpotent derivations, with special attention to the case of the affine space A^n for small values of n (n=3,4 are particularly intriguing). Connections of this subject with other questions, such as Hilbert's Fourteenth Problem, polynomial automorphisms or the classification of surfaces. Organizers: Mariusz Koras and Jaroslaw Buczynski. 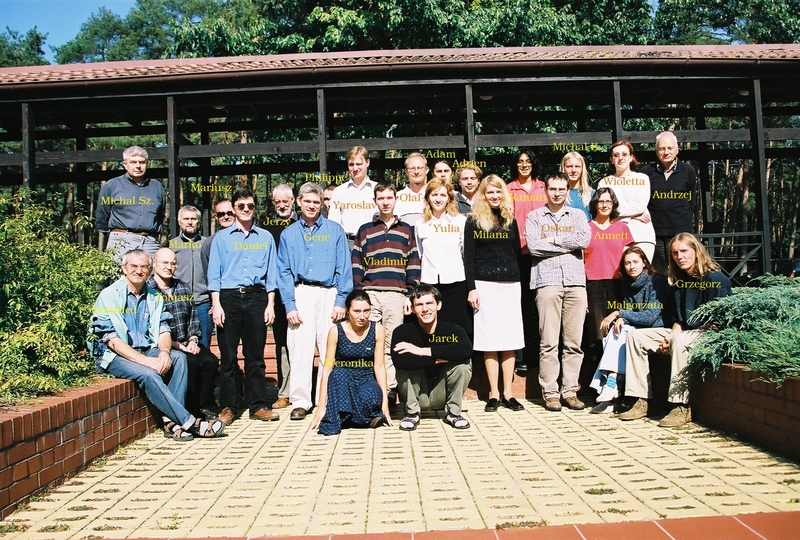 The school was financially supported by Institute of Mathematics of Warsaw University, by Polish State Committee for Scientific Research and by EAGER (European Algebraic Geometry Research Training Network).